In the past , the family doctor’s life was pretty simple . When someone fell ill, they would first try home remedies ; and if these didn't work, they would go to their family doctor. The doctor would make a diagnosis, and since most medical problems are self-limited , the majority of patients would get better. Because of the natural history of most diseases , where the body heals itself, the most important role of the doctor was to rule out serious problems ( which are rare and would need referral to a specialist ) and reassure the patient and hold his hand till he got better. Life has become much more complicated now for the family physician, because he is being disintermediated by Google. Thanks to the internet , patients routinely do a Google search on their symptoms. They usually do this before going to the doctor, which means in a few minutes, they are quite likely to know more about the doctor about their possible diagnosis and treatment options. The trouble is that they then starting thinking of themselves as being well-informed, whereas often they are misinformed, because so many sites are unreliable and plain wrong. Even Google has realized this, which it is why it is now offering Google chats with doctors, to help patients make sense of the information they have unearthed. The role of these virtual visits is still unproven. Meanwhile, what additional value can the real life doctor add to the patient’s life? Doctors are extremely pressed for time , and confronting a well-informed patient can create a lot of pressure on the doctor, who is now ironically at a disadvantage as compared to the patient, regarding his medical knowledgebase. The doctor’s knowledge is often outdated, and there is no way he can keep abreast of all the advances in medicine. He may have to read more about the problem to update himself, but he cannot afford to do this in front of the patient, as he does not want to lose face. When patients realise that they know more about their problem than their doctor does, they are quite likely to lose confidence in his expertise. They then want to use the family doctor purely as a sounding board, to get a “second opinion” and confirm they are on the right track. They will often demand a referral to a specialist, because the doctor seems to be out of his depth. Presumably the specialist will know more about the disease, because of his years of experience and expertise. 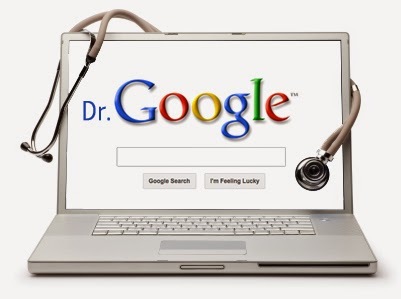 Google has made the doctor’s life much harder , and that’s why many doctors get irritated by patients who come to them with the results of their internet search. The truth is that a lot of these search results are complete rubbish, because patients are not sophisticated enough to separate the what from the chaff. While they can acquire the information easily, making sense of it requires a lot of sophistication which many patients lack, because they do not have the ability interpret it in the right context. While google is great at providing knowledge , to transmute that knowledge into wisdom and then convert it into actionable advise still requires the maturity of a doctor. Family doctors are great at this, because they know the patient and understand his background and personal preferences. The problem arises if patients don’t have a family doctor, because it takes time and trust to develop a healthy doctor-patient relationship. If this is missing, then this information asymmetry ( where the patient thinks he knows more than the doctor) can only create friction and unhappiness, for both doctor and patient.